I’m a loner by my nature, and a trucker by my trade. It’s a lucky man can do the things he loves and still get paid. Just the sort of spot a man can stop when home is out of range. Just a wide patch on the highway, neon, diesel, glass and chrome. Not the sort of spectral port of call a good ghost should call home. She stopped playing by the rules the day that she gave up on breath. She’s the angel of the truck stops; it’s the afterlife she chose. She’s the flower of the graveyard, she’s our ageless roadside Rose. And I almost walked right by her, never knowing she was there. And I don’t know why she chose me, nor the reason I agreed. Like a sailor coming home the day his journey is complete. Because truckers have our legends, and our ghosts have got their fame. I’m not here to cause you trouble, and this isn’t what you think. Though it’s true I’m often with a driver, on the night he dies. They need someone who knows the way and can tell them where to go. They need a hand to hold the map, and that’s why they need me. I gave up on playing by the rules when I gave up on breath. And she vanished like a fable at the breaking of the day. And I find that I’m not worried ’bout the how, or ’bout the when. Flowers blossom on the median, and fate is sometimes kind. Rose will be right here beside me, all along that final haul. She’s the blossom of the median; she’s the place a lost man goes. 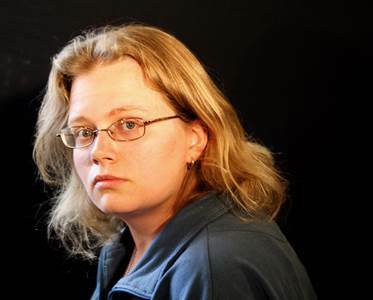 Seanan McGuire, sometimes also known as “Mira Grant,” is the author of more than a dozen urban fantasy and science fiction novels, including the newly released Sparrow Hill Road. She lives in Northern California, in a town with more than a few ghost stories of its own, where she endeavors not to be eaten by her three inordinately large cats. When not at home writing, she is either at a convention or at a Disney Park. She can be found atwww.seananmcguire.com, on Twitter as @seananmcguire, or on Tumblr as seananmcguire.tumblr.com.